The work of Modern Times is featured in the spring 2015 issue of TicArtToc, a magazine on cultural diversity produced by the NGO Diversité artistique Montréal. Called ‘Made au Québec’, the fourth edition of the magazine features articles by Anglophone and Francophone artists living in Montreal who are working at the interface of the two communities. To this day the two linguistic groups still remain mostly separated in the city, and Francophone stages are mostly absent of cultural diversity. Modern Times’ supporter Fouad Oveisy, a PhD student in Comparative Literature at the University of Toronto, was commissioned by Diversity artistique Montréal to write an article on Modern Times’ unique approach to diversity. 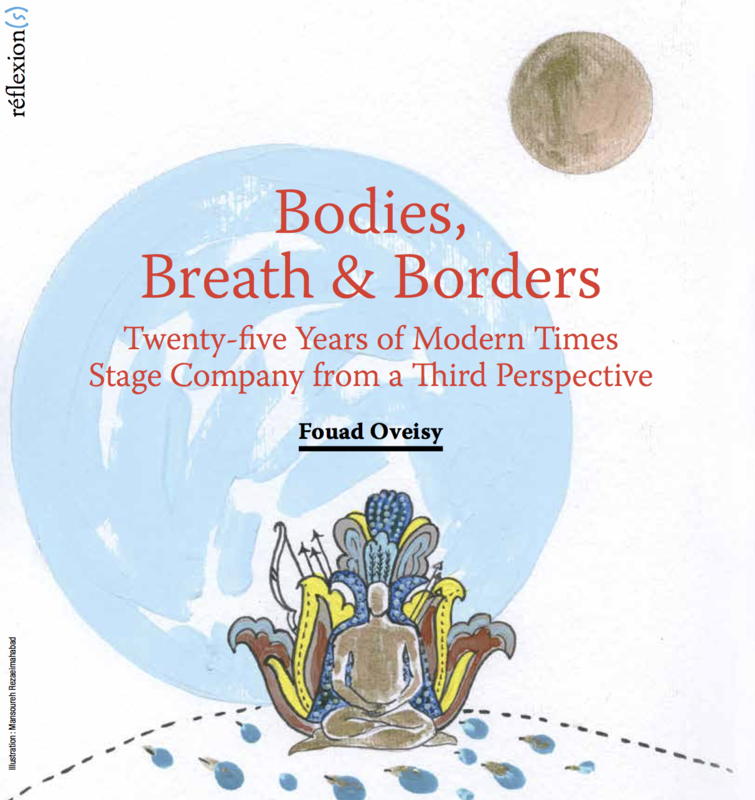 His article ‘Body, Breath and Borders’, focuses on the relationship between Modern Times’ founders, Soheil Parsa and Peter Farbridge. By Angelika Bertzold “The history of forgiveness found its end in Auschwitz”, wrote the French philosopher Vladimir Jankélévitch. This is a very strong, yet by no means simplistic statement, expressed and explained within a philosophical structure that seems to be the right place to reflect on subjects such as “forgiveness”. So given that philosophy or theology would be the place to consider the meaning of “forgiveness”, a theatrical approach seemed somewhat startling and, thinking of Jankélévitch’s statement, I was curious about what would happen on stage. Modern Times would not exist in its present form today if not for Canada’s project of multiculturalism, since this policy led to the creation of diversity-specific funding streams. At the same time, the label of ‘multicultural’ has been very a challenging one for the company. On the one hand, it served to promote the company’s ‘uniqueness’ in the context of a Canadian theatre scene that in the 90s was still fairly white Canadian.